For as long as Violet Robinson can remember she has been in love with her best friend’s older brother, Brendan Archer. But she is only ten years old, and he breaks her heart by rejecting her, just before moving away. Eight years later, Brendan knows he’s got to keep an eye on his sister and her best friend, Violet, when they move overseas for college. He has always felt bad about breaking Violet’s heart, but he was tired of her following him around. He wasn’t interested in little girls. Only, Violet’s no longer a girl. She’s a woman. Now he wants her and knows he can’t have her. Or can he? In a different country, Violet misses home. The only constant in this new place is Brendan. Being around him awakens all the feelings she’s been trying to deny. Falling into bed is a big mistake, but fall she does. Brendan knows what a gem he’s found, and he feels damn lucky that she now belongs to him. But what will happen when he finds out she’s pregnant? 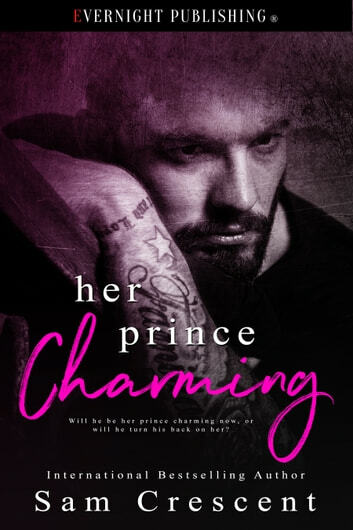 Will he be her prince charming now, or will he turn his back on her? Oh wow! Violet went from being heart broken at 10 by her best ffriends brother to getting him in the end. I'm happy he realized that she was the 1 and it worked out in the end.